It’s been an expensive week. On Monday my lovely old boat was hauled out of the water for a hull survey. My insurer insists, as do most narrowboat insurers, that because of the boat’s age it needs to have the hull surveyed every five years. Although I have always been assured that James’ hull is in excellent condition, I have to admit that I committed a cardinal sin when I bought the boat by not having a survey done then. My excuse is that I bought the boat from my boss at the marina and trusted his judgement. Fortunately my trust seems to have been well placed. I took the boat over to the slipway at 8am when I started work. I needed to do a little preparation before the boat was hauled out of the water. To take a boat out of the water at Calcutt, it is driven onto a cradle in the water. Once it’s in position, the wheeled cradle is pulled up the fairly steep slipway by one of our two site JCBs. The boat isn’t used to going up and down hills so I had to make sure that any freestanding items on the floor, worktops or shelves were laid flat so that they didn’t fall as the boat was dragged up the slipway. The boat was hauled on to dry land without mishap. In addition to making sure that I didn’t knock anything over in the boat I had to make sure that the engine was turned off before the boat was clear of the water. The engine is raw water cooled so can’t be cooled effectively once the inlet is above water level. Once out of the water, the hull survey didn’t take very long to do. A grinder was used to expose the bare metal in dozens of spots along both sides of the hull and on the base plate too. An ultra sonic tester was used to measure the thickness of the steel on the base plate, counter, sides and the bow and swim plate. The skeg, skeg bearing and rudder were also examined. The original steel thickness when the boat was launched was 6mm for the sides and probably ¼” for the base plate. The reading for the sides varied between 5.7 and 5.9mm and between 6.2 and 6.8mm for the base plate. The examiner told me that the steel on my almost forty year old boat was in better condition than his own six year old. My boat’s insurance was due for renewal this week (which prompted me to get the survey done in the first place). I use Craftinsure. I mentioned earlier that most insurers insist that a hull survey is done every five years for older boats. The age differs from insurer to insurer. Craftinsure’s threshold is thirty years. James is insured for £40,000. Craftinsure are quite happy to insure live aboard boaters but they only allow 3% for the boat’s contents, £1,200 in my case, which isn’t sufficient to cover everything we have on board. The cover also excludes any individual items worth more than £250. For and additional premium the company agreed to insure another £4,000 worth of contents including a few items over the £250 threshold. Sally and I have just reviewed the current value of what we have on board and realised that we need to at least double the value of the insured contents. The premium at the moment for boat plus contents is £245. I expect the new premium to be about £485. Reading through the policy I discovered that I’m not covered by damage resulting in warlike acts by a belligerent power, civil war, rebellion, insurection, revolution, civil strife or any loss or damage caused by radiation or radioactivity. I suppose all this means is that I should moor anywhere near Birmingham, London, Nottingham or Manchester. Apart from charging across the marina in my boat a couple of times, all of my working week this week has been spent cutting b****y reeds. So far I’ve collected about thirty truck loads of the things and we’re still only half way around the marina. Pat and I have developed a routine now. Pat uses the strimmer with the circular saw blade attachment to cut back the bank side back three or four feet, then dons a rather fetching pair of new leak free chest waders to get into the water to trim the water side. I follow up with our truck collecting the cut reeds, cut the reed stumps with our beast of a three wheeled weed cutter mower then clear up the resulting mess in the grass box of a smaller mower. The end result is very smart but tiring to achieve. We will need to work on the reeds all next week too. 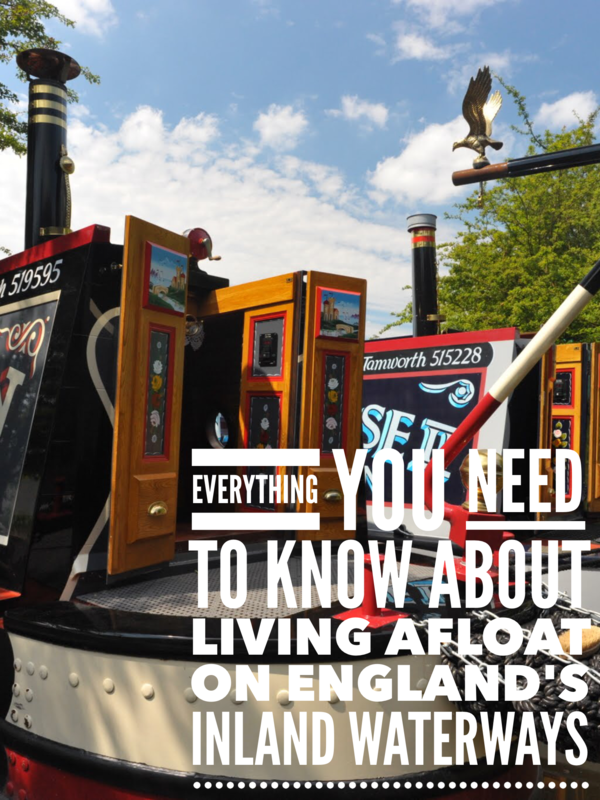 The idea of living afloat might appeal to you but finding £20,000 for a fixer upper, £40,000+ for a half decent second hand narrowboat or more than £100,000 for a brand new boat might be beyond your means. Maybe you’ve though about renting one long term much as you would for a house or a flat. Where to find these rentable floating homes is something I’m asked on a regular basis. Unfortunately there are very few operators advertising narrowboats for long term hire, and of those few, only Sheffield Narrowboat appear to offer a professional service. I’m not saying that any of the other three or four businesses offering hire boats for extended periods aren’t professional but I can tell you that they don’t respond to emails asking about their service. I have also met one of the operators who visited Calcutt on board one of his boats. The boat was very tired looking and had an engine which sounded awful. I wouldn’t have fancied a trip around the marina in it. Long term hire would have been out of the question. Sheffield Narrowboats are a classy outfit with a very informative web site. They offer quality boats for hire but their prices reflect that. You’ll pay £3,000 a months for a three month period during the summer or £2,000 a month for five months beginning in November. If the cost hasn’t put you off you’ll still have to book well in advance of your intended cruise. Sheffield Narrowboats are booked solid until 2017. There may not be many companies offering narrowboats to rent for extended periods but there are quite a few private boats offered on sites like this and in the popular narrowboat magazines. Any boat owner who intends to hire out their boat is obliged to buy a leisure business license and obliged to abide by its terms which include obtaining a certificate from a CORGI registered fitter if there is gas on the boat, providing sewage and waste disposal. a drinking water supply, a suitable mooring for safe entry and exit to and from the boat and adequate and safe car parking. The owner must also provide a handover service to the new hirer which includes the safe navigation of locks, the operation and care of the boat and its equipment and access to buoyancy aids if required. If you intend to hire a boat from a private owner you need to check that he has complied with all of these obligations. If he doesn’t, the boat may be unsafe and/or uninsured. I’m afraid that I don’t paint a very positive picture of long term narrowboat hire but the truth is that it often isn’t a viable option for getting your own floating home. I’ve recently been informed that Sheffield narrowboats ceased trading last year so long term narrowboat hire is now even more difficult. All is not lost though. Ashby Boats offer three of their hire fleet for out of season rental. I asked Julian from Ashby Boats for more details. “We offer 3 boats for winter rental from 2 weeks to 3 months. They sleep up to four people. We moor the boats at our yard and hook up to mains electricity. We charge £250 per week or £875 per month, excluding gas which they pay for at £18 per bottle. We pump the boat out once per week and diesel is included in the price. If the weather permits and the hirers want to cruise we charge an extra £50 per day but we like them to stay on the Ashby canal in case of a freeze. While this isn’t a workable solution if you want to move afloat full time, the company is offering a very cost effective opportunity to try the lifestyle before investing all your hard earned cash in something you may not enjoy. As far as I’m concerned, winter is still a very pleasant time of the year to be living on the water, but it’s not as easy or as enjoyable as lazy summer days relaxing on the towpath with a beer or glass of wine to hand as you watch the world drift slowly by. I have an iPhone 4s. It’s Sally’s old phone which I have had unlocked. I use it with my Three contract SIM. Phone coverage here at Calcutt and many places we take the boat to is, quite frankly, very poor indeed. It’s so poor that for the last two or three years I’ve told people who want to get in touch with me email me instead. I always have an internet connection on the boat courtesy of the marina WiFi or my Three MiFi dongle and I’m still OK when I’m at work because I can still connect to the marina network. Being able to check the hundreds of emails every day is very handy, even though many of them are offering to improve the quantity and quality of part of me I’m not aware is too much of a problem. My mobile broadband is fine but although not being able to make or receive calls isn’t a major problem, it’s frustrating. Until last week, if I wanted to make a phone call from the comfort of the boat, I had to use Skype. Skype is a wonderful service. I can make phone calls to anywhere in the world courtesy of my internet connection. Sally regularly uses it to chat to her sisters in the Philippines. The rate is 6p per minute. Skype is a very handy service but however reasonable the rates are, the cost is far more than if I could use the call allowance I have on my Three contract SIM. My allowance is 1200 minutes each month. Last month I used just four minutes. I was talking to Steven Cox in our office last week about the problem I have with mobile phone reception. He’s on the Three network too and enjoyed a similarly frustrating service until he installed an app which Three have recently developed. It’s called Three In Touch. The app allows you to make and receive calls and to send and receive texts via a WiFi connection if you don’t have a phone signal. It’s marvelous. It works on both Android and IOS devices, although one or two phones are excluded. They are listed here. The app is simple to install via Google Play or the App Store. To configure it you just need to make sure that you have a phone signal. In less than a minute the app is configured and ready to use. Since I installed the app I’ve been making calls constantly from the comfort of the boat. I haven’t actually had a reason to call anyone so I think the speaking clock is getting a bit fed up of me now but at least I know that my phone works if I ever make any friends.